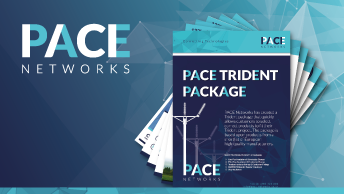 PACE Networks has had involvement with over 50 UK projects, below are a few examples	highlighting the role of PACE Networks and our technology partners case studies. The electrification programme between Manchester and Liverpool was the trail blazer regarding recent UK conversion to electric trains. Being an early adopter of new technology and the Series 2 design range brought specific challenges, with minimal prior knowledge from other projects. PACE worked in close collaboration with Network Rail, Balfour Beatty and our partners to meet project needs and ensure component supply was effective and well communicated. 2015 saw the start of the Midland Mainline programme of works, with the first section running from Bedford to Corby. 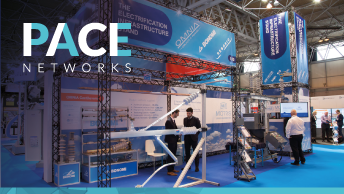 Before the project commenced, PACE Networks strived to understand the requirements for supply schedules, product development and other bespoke features of the line. PACE acted as the communication link between the project and the manufacturers to ensure supply to the project and help the manufacturers evolve their product bag. The electrification programme carried out on the Gospel Oak to Barking route will enable new four-carriage electric trains from 2018, which will double the current capacity for passengers on the line and improve air quality for people who live and work nearby. The Omnia Cantilever System is approved for use in the Series 2 and UK Master Series design ranges and is one of the products that is being supplied on the Gospel Oak to Barking route. 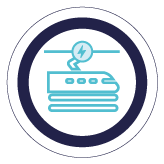 Between June 2013 and May 2014 overhead line equipment was installed from Springburn to Cumbernauld, enabling the use of electric traction units. As the first section of the much-discussed EGIP programme of works, this was a test bed for new equipment and new approaches in Scotland. In addition to supporting Bonomi Group in providing an extended range of OLE equipment, PACE collaborated with Network Rail, Carillion and Morris Line in the development of a new simple earthing switch. The Rutherglen And Coatbridge Electrification project was a line that linked into the main Edinburgh Glasgow Improvement programme. Electrification of the line was announced in May of 2013 with an original target completion date of 2019. However, due to the upcoming commonwealth games, there was a decision taken to accelerate that to a September 2014 completion. This put a lot of pressure on the project and suppliers to expedite all activities and products. PACE managed the communications regarding delivering Cantilevers, Fittings, Insulators and Earth Switches to the project in less than half the standard lead time, enabling the project to stay within its target dates. Major improvement work was needed on the Chase line services due to the increasing number of passengers. To provide this growth, investment of over £100m has been made to electrify and upgrade the line between Walsall and Rugeley, to enable a faster and more frequent service in the future. PACE managed the project to include fitting of Cantilevers, Fittings, Droppers, and Switches. As part of the £1bn+ Great North Rail Project investment, the railway between Manchester and Preston via Bolton will be upgraded to allow for faster, greener, quieter and more reliable journeys from December 2017.Once again, PACE managed the project, under different contractors, to facilitate the fitting of Cantilevers, Fittings, Droppers, and Switches. All four rail routes between Edinburgh and Glasgow on the Shotts line will be electrified by 2019. The project is part of a wider £160m programme to improve links between Scotland’s two biggest cities. PACE has been heavily involved with the Shotts line electrification project, successfully managing communications between the project and manufacturers to provide Omnia cantilevers, Rebosio insulators, Bonomi fittings and Morris Line Engineering isolators. PACE Networks is privileged to be awarded multi-year framework contracts with National Grid for the framework for a range of Conductor Fittings with our partner RIBE. A range of Vibration Dampers from the framework has successfully passed a series of tests to NG specification TS 03.04.35. Type Registration of these products and the first orders are expected early in 2018. PACE Networks is privileged to be awarded multi-year framework contracts with National Grid for Rebosio polymeric insulators at 132kV, 275kV and 400kV as our national utility recognises the benefits of polymeric insulators over either porcelain or glass. The 132kV Heavy Duty Legacy to Oswestry Trident project was installed by BBUSL in 2015 with equipment supplied by SP Energy Networks. PACE supplied the Tension Insulators, E00897R-5 and the Line and Pilot Post Insulators, E00865A and E01054S to SP Energy Networks. The route modification is part of the 132kV Substation rebuild which is being up scaled to provide security and flexibility to the existing network in and around Oswestry. The insulators were manufactured to be exactly the same size as the trident specification from the eighties, therefore allowing a direct replacement of the existing old insulator technology and also providing huge savings in the reduction of change in other areas. During 2015, PACE Networks worked with Babcock and SP Energy Networks to trial 132kV Composite Insulators for use on Tower Projects. Other UK DNOs / TNOs have been utilising polymeric technology for several years and SP Energy Networks wanted to this next step to gain the inherent benefits for their network at this voltage. PACE provided the Suspension and Tension Insulators for this project to be installed by Babcock on the HAR Route, running through the Cheshire countryside. Feedback from the installation team highlighted they were extremely easy to install and saved a lot of time compared to Glass insulators. They were easier and safer to handle and more work could be completed when compared to Glass, which in turn saved money on Wayleaves, reduced plant operation activities due to less weight logistics and other time related activities. 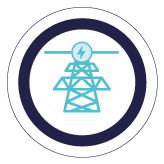 As a direct result of the HA trial, our suspension and tension 132kV insulators up to 190kN are now fully approved for Tower Projects by SP Energy Networks. PACE Networks are currently providing full strings to Western Power Distribution to replace their existing aging 132kV OHL strings. PACE is providing full suspension and tension string items including composite insulators, BS Fittings and Conductor fittings. PACE is also working with Western Power Distribution’s contractors to supply equipment for projects awarded directly to the contractors. Due to our stocking policy, PACE could deliver more than 400 insulators and associated fittings – directly from our UK stores to site in-order to maintain the tight outage dates. PACE Networks and RIBE, one of our leading European partners, carried out the Vibration Study and successfully supplied more than 1,000 bolted Lynx Vibration Dampers to Omexom for a Western Power Distribution 132kV re-stringing project, within a constrained project programme tied to a fixed already booked schedule of outages. PACE Networks is currently working close to one of the largest Overhead Line Designer’s Energy within the UK for the product development, supply and technical support in the development of a 275 kV Prototype steel pole with the capacity of holding Totara conductor and Keziah earth wire and the further development of the method statement for the construction works. Delivery of prototype samples are planned for Q4 2017.